We are home for the best in Pizza, Pastas, Calzones, Stromboli and Italian favorites. Enjoy your favorites with Sam & Louie’s. Open daily at 11. Since primitive ages, people have gathered around the table to join as a family, make business deals, and create memories with friends. Sam & Louie’s invites you to Gather Around our Table every day enjoying your favorite Italian dishes. We would love to cater your next event, gathering or wedding. 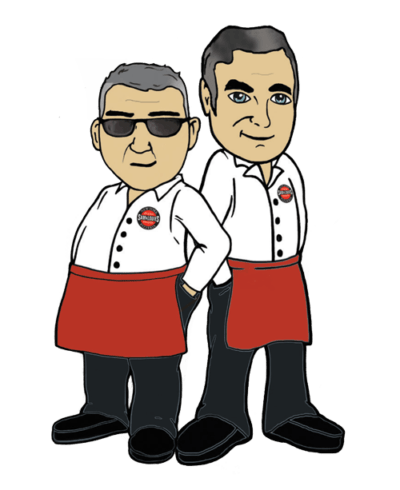 Click the button below to learn about the Sam & Louie’s Event Catering experience. Online ordering is made easy with Sam & Louie’s. Click the button below to select your location and experience gathering around our table. Join our email list today to get the latest deals and information on Sam & Louie’s! The place was great! My calzone was awesome and the kids loved their pizza and the friendly service. We are booking our son's birthday party there next week! Want to learn about starting your own Italian restaurant franchise? Click the button below to see the opportunities Sam & Louie’s has for you! Sign up for our birthday and loyalty program Pinpoint so that we may continually reward you for choosing to dine at Sam & Louie’s! We are thankful to you, our customer, and want to show you our appreciation for your return visits. We also want to celebrate your important dates like your birthday and anniversary. Our loyalty program is powered by Pinpoint, it’s a free and easy-to-use mobile app that rewards you for eating at Sam & Louie’s! When you sign up today, you’ll get a FREE menu item.